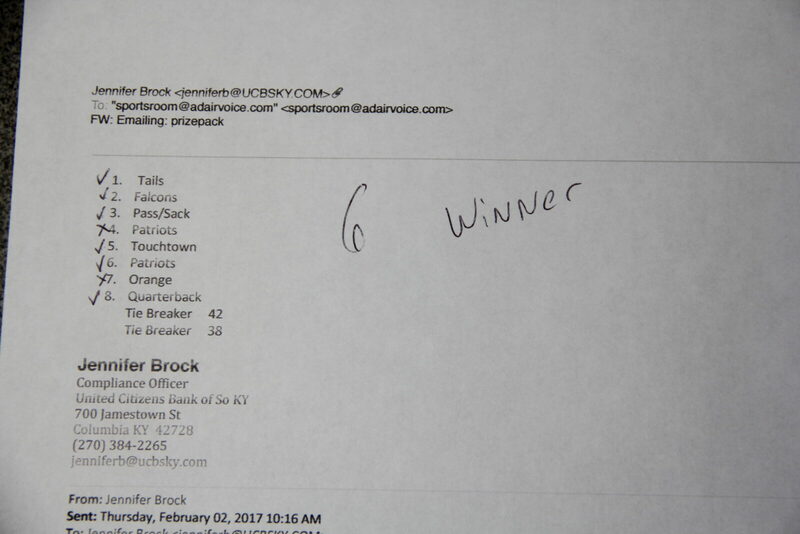 Brock Wins Super Bowl Prize Pack! The Adair County Community Voice Superbowl Contest was as close one, just like Superbowl 51. In the end, Jennifer Brock picked six correct predictions to separate her entry from multiple entries that were tied at five correct predictions. For the win, Brock takes home a prize pack worth more than $120!